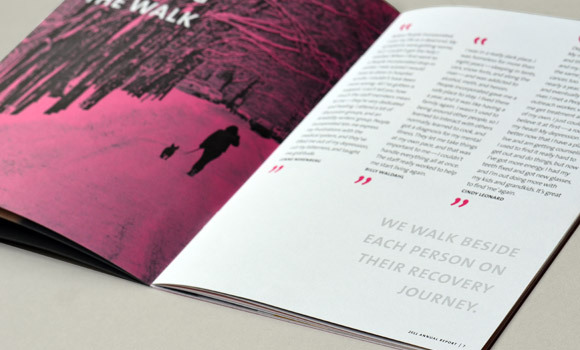 People Incorporated Mental Health Services is a nonprofit in Minnesota working to secure independence for people with mental illness. They have a perpetual battle to fight: reducing the stigma around mental illness in order to continually progress and help the people who need it the most. It takes a bold approach to address a taboo subject. British prime minister Winston Churchill famously described his depression as his “black dog”—a dog that hounded him throughout his life, even through the Second World War. 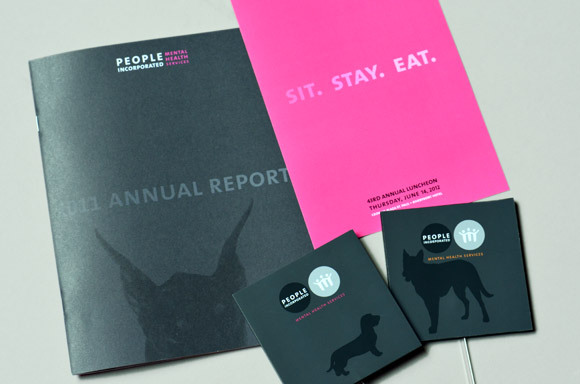 Taking the “black dog” of mental illness as a theme and Churchill as an example, ThinkDesign helped People Incorporated pose the question: What greatness would we unleash if every person had access to the support they needed to live up to their potential? 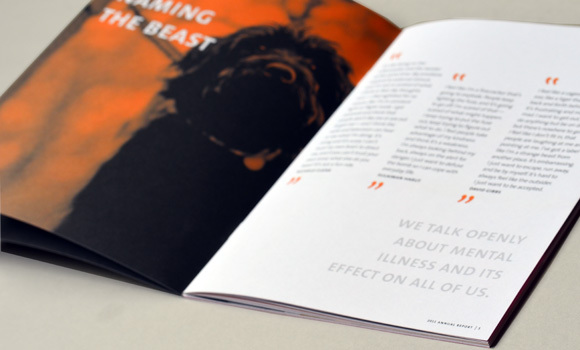 Despite the stigma of mental illness being dark and gloomy, we took the bold initiative to create a black cover with a threatening black dog — and then balanced the shock of the cover with vibrant colors on the inside spreads, reflecting how People Incorporated helps their clients tame the black beast into a gentle giant. 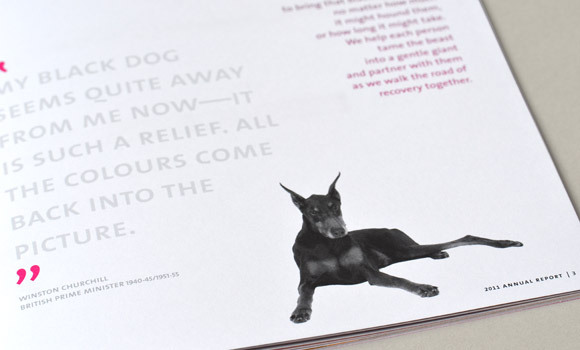 Images of dogs of all shapes and sizes were used on individual spreads to emphasize People Incorporated’s innovative, client-centered approach to helping people with mental illness maintain their independence in the community.